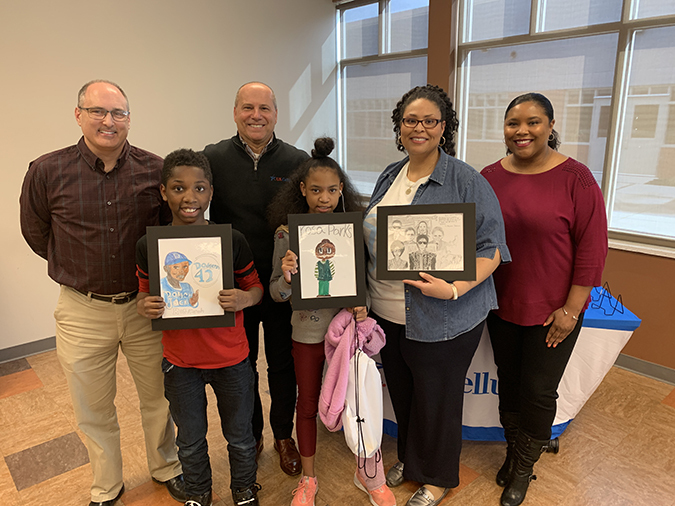 U.S. Cellular announced the three winners of its fourth annual Black History Month Art Competition with the Boys & Girls Clubs of the Tennessee Valley at a celebration at the Regal Teen Center club. In January, club members created original pieces of artwork in recognition of influential African-Americans, including business people, athletes, historical figures and celebrities. The 10 finalists’ art was displayed in U.S. Cellular stores during the month of February, where the Knoxville community voted for their favorites. U.S. Cellular is the fifth-largest full-service wireless carrier in the United States, providing national network coverage and industry-leading innovations designed to elevate the customer experience. The Chicago-based carrier offers coverage where the other carriers don't and a wide range of communication services that enhance consumers’ lives, increase the competitiveness of local businesses and improve the efficiency of government operations. To learn more about U.S. Cellular, visit one of its retail stores or www.uscellular.com.